These are genuine bike wheels and may well have some slight sctaches or signs of wear on the wheel. 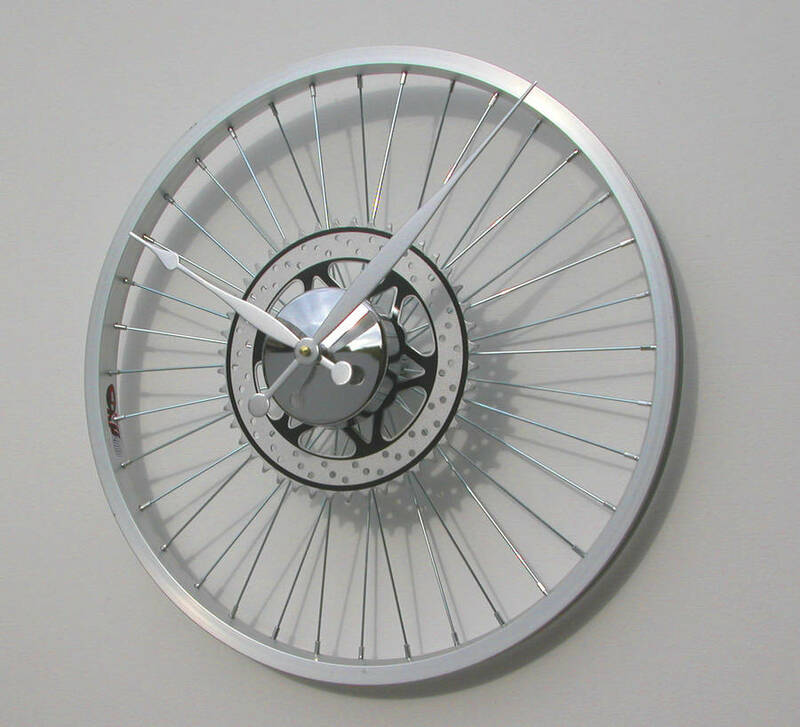 A unique gift for any cyclist or fan of outdoor pursuits. 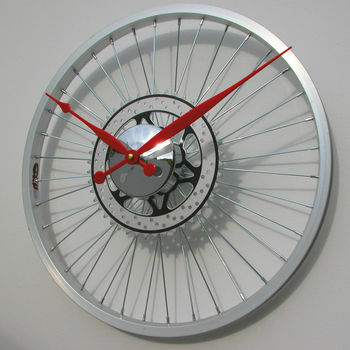 This is a reconditioned and re-engineered bicycle wheel transformed into a beautiful wall clock. 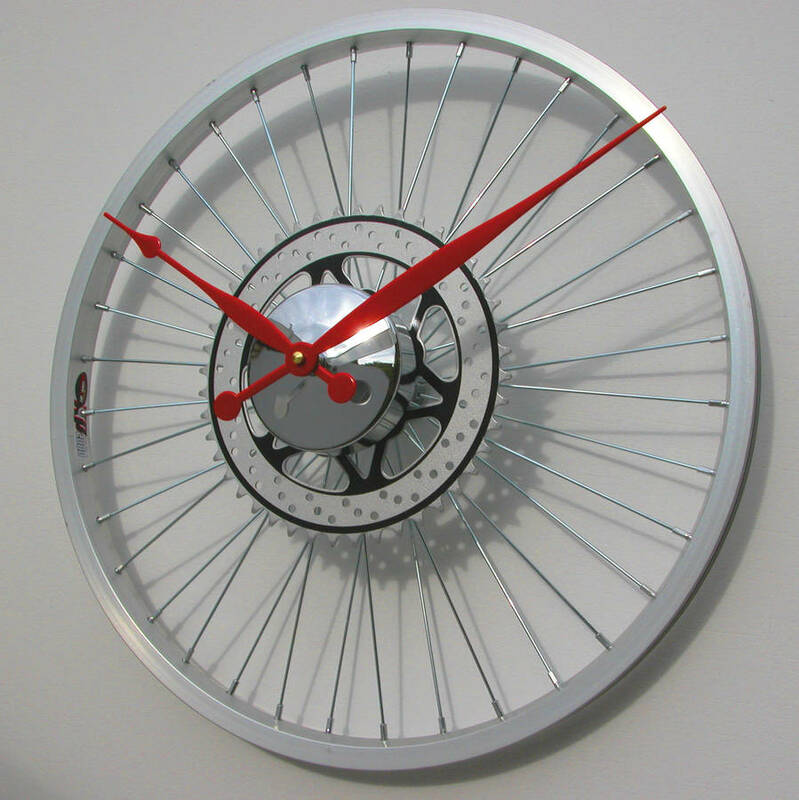 The clock mounts directly to the wall or can be placed on a shelf. Black hands, red hands, silver hands. 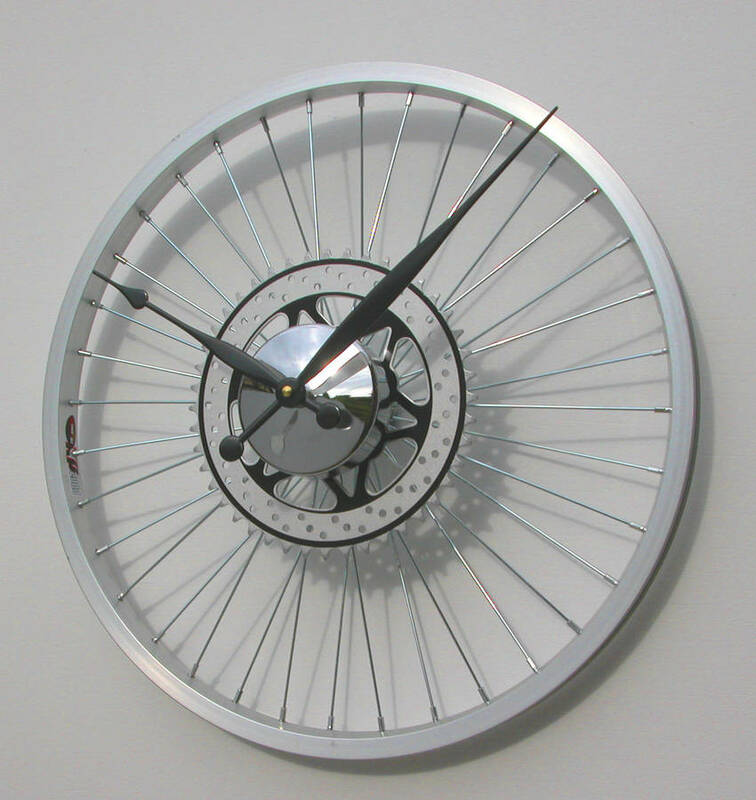 Genuine bike wheel, quartz clock mechanism, steel chainset, chrome hub.